An impending divorce can give way to uncertainty and distress. Understanding to what expect as you move forward, however, can be helpful to staying calm and taking the right steps as you proceed. 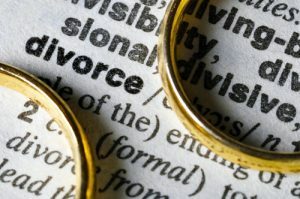 Given that divorce can raise a lot of questions and concerns, here are some insightful answers to common questions about divorce in New Mexico. When you are ready for answers and advice specific to your situation and needs, contact an Albuquerque divorce lawyer at Sutherland Law Firm, LLC. We can help you put the conflict and difficult times behind you so you can get a fresh start and focus on your new beginning. What Are Grounds for Divorce in New Mexico? No fault – In a no-fault divorce case, the only the ground for divorce is incompatibility or irreconcilable differences. Fault – Less commonly invoked in New Mexico divorce, fault-based grounds can include cruelty, abandonment and infidelity. File for a legal separation in the interim – There are no residency requirements for legal separations in New Mexico. With a legal separation, you can separate your financial and legal affairs from your ex while you wait for the residency requirement to be fulfilled. Once it has been met, you can convert the legal separation into a divorce. Gathering documents related to the joint assets and debts – Some examples include mortgage statements, tax returns, deeds/titles and credit card statements. Setting up a P.O. box where you can securely receive mail. The property acquired during the marriage is considered to be community property. This can include both assets and debts. Gambling debts and individual inheritances acquired in the marriage are a few exceptions to the rule, meaning that these are typically considered to remain separate property even if they are acquired during the marriage. The community property can be divided up equally between the divorcing parties. Separate property is comingled with community property, making it unclear precisely what does and does not constitute the community property. Some of the community property has allegedly been hidden. There are questions about the validity of a prenuptial or post-nuptial agreement. A divorce involves complex, high-value community property, such as multiple real estate holdings, business interests, etc. The case involves a contested or uncontested divorce. The parties are able or willing to work together in mediation. The community property is clearly defined or more complex in nature. Allegations like domestic violence or hidden assets have been raised. An attorney at Sutherland Law Firm, LLC can give you a more specific answer regarding what to expect in terms of the duration of your case. A divorce lawyer at Sutherland Law Firm, LLC is ready to discuss your needs, concerns and objectives – and to answer any other questions you may have about your impending divorce. Known for our compassion, expertise and record of success, our attorneys have the skills and knowledge necessary to effectively protect your interests at every phase of your case. We have more than four decades of family law experience, and we always personalize our service to fit our clients’ needs and goals. Let us help you successfully navigate the divorce process. From offices based in Albuquerque, we provide the highest quality counsel and representation to clients throughout New Mexico. Our lawyers are also licensed to practice in Texas and Michigan.